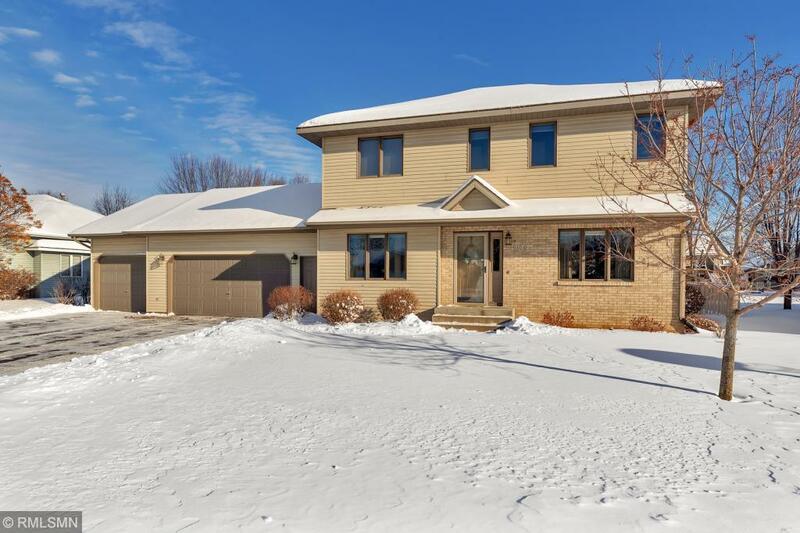 Traditional style 4 BR, 4 BA, 2 story in Morningstar Addition. Newer improvements include: roof, vinyl fence,, cedar deck, fresh paint, kitchen counters, stainless steel appliances. Large master BR with walk in closet, bath w/dual sinks, heat lamps, & jetted tub. Eat-in kitchen w/SS appliances & formal DR, LR, and FR on main level. Large lower level rec area. Two washer/dryer hookups. Oversized 3 car garage and large fenced backyard with Sprinkler system. 3 upper level bedrooms + BR in LL.